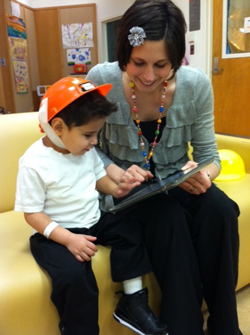 The work of the Ace Bailey Children’s Foundation focuses on the well-being of hospitalized children at the Floating Hospital for Children at Tufts Medical Center, Boston, through the building and renovation of hospital environments that improve the family-centered and softer side of hospital care. 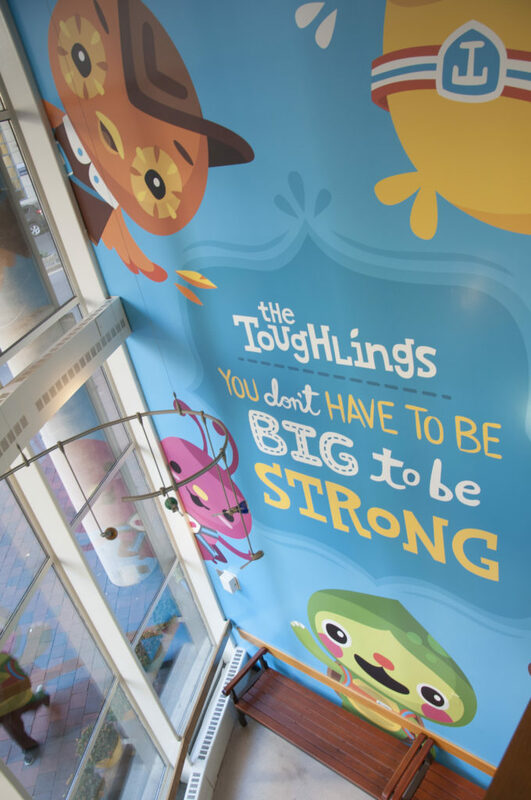 We strive to reduce the stress of pediatric hospitalization by creating environments that are less clinical in appearance and more comforting and soothing for children and their families. The Ace Bailey Children’s Foundation was established in memory of Garnet “Ace” Bailey who was killed in the terrorist attacks of September 11, 2001. Ace’s friends and family have created the Foundation to honor his memory and to perpetuate his deep caring for the happiness of children. In 2014 the Ace Bailey Children’s Foundation opened a smaller branch of “Ace’s Place,” a parent waiting area and a new entrance foyer in the Pediatric Emergency Department (PED) of the Floating Hospital for Children. 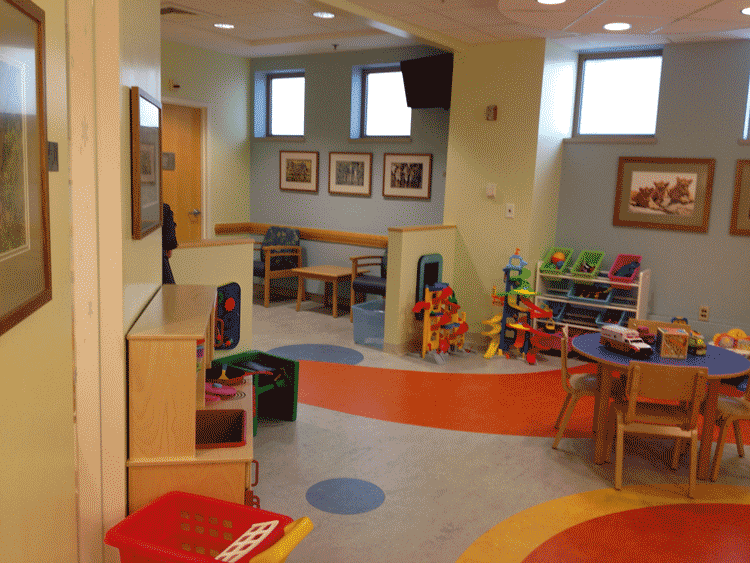 The new “Ace’s Place” facility provides space for children to play during visits to the emergency department. Siblings are welcome and play is overseen during daytime and early evening hours by one of the Floating’s professional Child Life Specialists. Play reduces the stress for children when an unusual or traumatic event is occurring an frees parents to speak with medical staff and make decisions concerning their child’s care. In 2017 we completed the PED project by redecorating all the exam/treatment rooms with TheToughlings. Each room has a unique design and one is designed especially for kids on the autism spectrum. The rooms are now bright, inviting and fun. 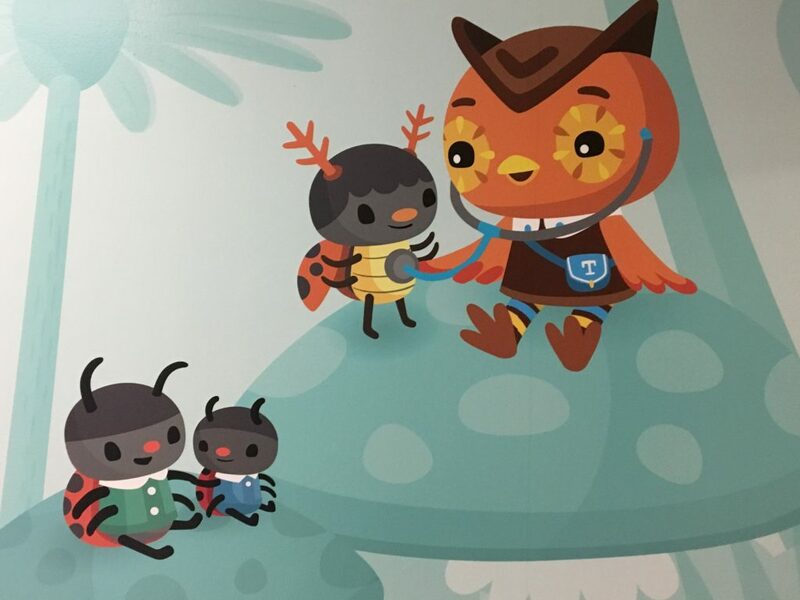 There are images on the walls and ceilings of each room of The Toughlings treating their little animal friends with medical equipment that children will encounter in the PED. During 2016 the foundation began the integration of The Toughlings into the two street entrances of the Floating Hospital for Children. The main entrance at Washington Street is now filled with a two-story image of the five Toughlings. The entrance from Tremont Street which leads into a mezzanine area was also redecorated along with the elevator banks on both floors. 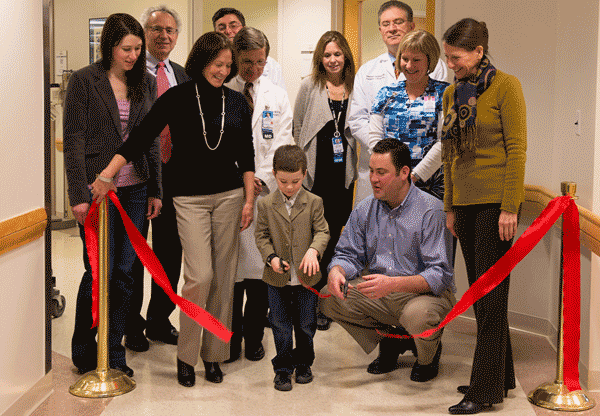 The renovation of the Tufts-Floating Hospital’s Neonatal Intensive Care Unit (NICU) was completed in 2012. An infant’s time in the NICU can be highly stressful for new parents. Through our “Family Care Project” we have renovated and updated the NICU to provide a comfortable and soothing space for families to bond with their hospitalized babies. The foundation also renovated two family areas: a “Family Room” with a kitchenette, comfortable seating and a TV and DVD and a “Quiet Room” with a calm and peaceful atmosphere for meetings with medical staff, for teaching sessions for parents and for a quiet place to relax and recharge. We also updated and brightened the 41 bed patient areas to make them feel and appear less clinical. This included purchasing new recliners and gliders for parents to cuddle, rock and feed their babies; new task chairs for nursing staff; warm colored wood flooring, fresh window treatments, and brightly colored cubicle curtains and wall paint that made for a much cheerier atmosphere. Providing this more functional, comfortable and brighter environment helps to reduce stress for parents, which in turn helps them to help their babies grow and become healthy faster. We’re sure that this would make Ace smile because he loved babies. The Foundation’s first major project at the Floating Hospital for Children was the creation of Ace’s Place, a play center designed to help to reduce the stress of hospitalization for children from toddlers to teens. Ace’s Place offers a warm, fun and comforting environment to play, to make friends with other hospitalized kids and to visit with family members away from the clinical environment of their rooms. The center provides special spaces for all ages as well as an area for group activities. Offering this safe and fun environment is a particularly apt way of honoring Ace’s love of children and extending his warm joyful spirit to them in their struggle to heal. In 2004 the Ace Bailey Children’s Foundation split the cost (with the Kiwanas Pediatric Trauma Center) of a crucial piece of emergency equipment called a “Pedi-Porter Stretcher,” This specialized stretcher was needed for the Tufts-Floating Hospital’s new Mobile Intensive Care Unit, a rapid response team that transports critically ill children and infants from community hospitals to the specialized care at the Floating. The stretcher is equipped with its own pediatric ventilator for pre-mature and sick infants. This piece of equipment will be directly responsible for saving the lives of children and babies when they are being transported to the Floating Hospital. The Foundation bought the Neonatal Intensive Care Unit a much needed, and highly specialized, breast milk freezer. The Foundation also purchased Med-Infusion Pumps for the NICU that deliver minute amounts of carefully measured medications to sick and at-risk infants.